1. The strong television records function,support recording in fixed time,dispart record and can be choice the quality of record,let you enjoy fascinating TV program easily. 2. Supporting various format of audio and video ,the appearance is more flowing freely ,and picture is clearer. 3. Use 2.5 inch hard drives,the capacity is larger,have protects function,insuring service life,providing formatting function. 4. 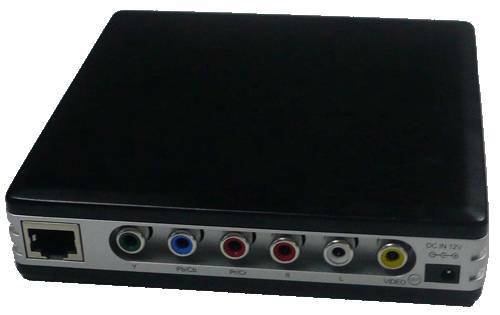 TV/DVD/DV instantaneous and directly record. 5. Special”the medium database browse” function, convenient to filter the document of “picture” ”music” “movie”,convenienter for useer to seek and view. 6. anamnestic play function,move can be continue play from the last broadcast position. 7. Support USB 2.0 function,providing the high speed rate 480M bit/s delivers, USB 1.1 is compatible. 8. Supporting LAN (local area network),it can find the share file under the same domain name. 9. Supporing document management,with replication, stick,delete,add,all replications,all deletiong etc. operation..
12. Supporting the outside hangs sub-title(SPT/SUB),can cut over multi-national sound track and sub-title while play DVD document. 14.Supporting music document format as MP2/MP3/WAV/AAC, display the lyricses synchro when play MP3,and can show the consultation of song,,such as the headline,author,baud rate,sample rate etc.